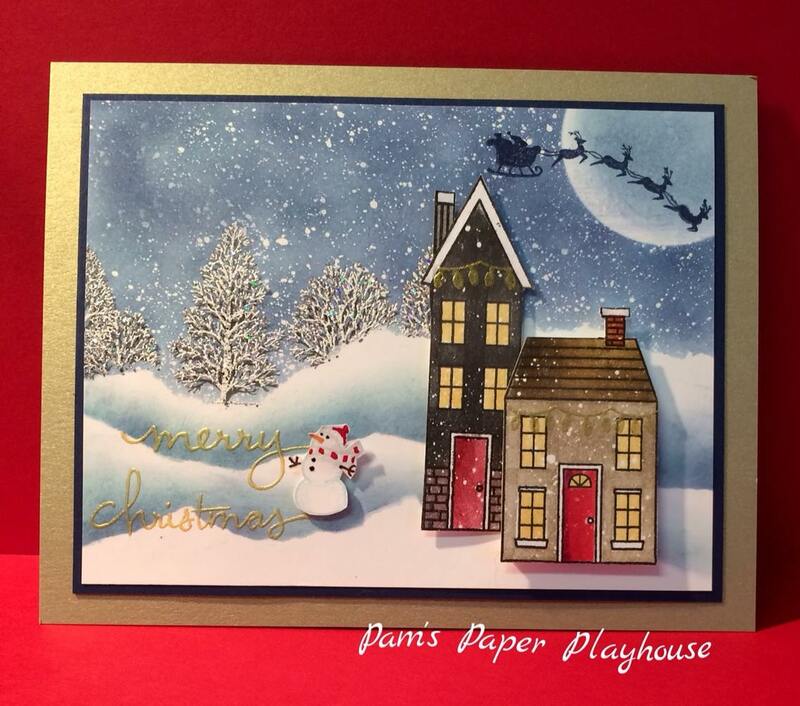 My absolute favorite cards to make are Christmas cards. The variety that can be done is endless. There is no other holiday in the year where you can use snow, glitter, snowbanks, ornaments, and the list goes on! Here is one of my latest creations. In due time, I promise, there will be tutorials. As a few of you know, my husband suffers from that horrible debilitating disease called Alzheimer’s. Because of that I often don’t have enough hours in the day for “me” time. That’s my excuse for now for not having got around to doing tutorials. If you live in the Lakeland, Florida area, I do offer art technique workshops in my home. I do travel and do workshops. If you want or desire any more info in regards to what the prices are and all other information, just drop me a line. Hi Pam, if you can make some with a Samoyed and a Pekinese figure I would place an order. Christmas cards. I also like religious Christmas cards. Your doing great work. Are you asking about Christmas cards featuring the dogs? Or general cards featuring those two breeds? I can do as well as religious Christmas cards…basically nativity themed. Did you get my post on FB?? I need 3 boxes of Christmas cards again this year. Let me know what I owe you. Thanks. I did…I am sending you an email. Thank you, Mary. I love doing a variety! Oh Pam! I have recently started with stampin up and discovered your amazing site! I live in northern mn but my dad lives in Lakeland. I am so sorry to hear about your husband. We lost my stepmother 5 almost 5 years ago to the big a. It’s an awful disease. The good news is the Lakeland area has some really great resources. If you ever need to chat – you have my email now! !